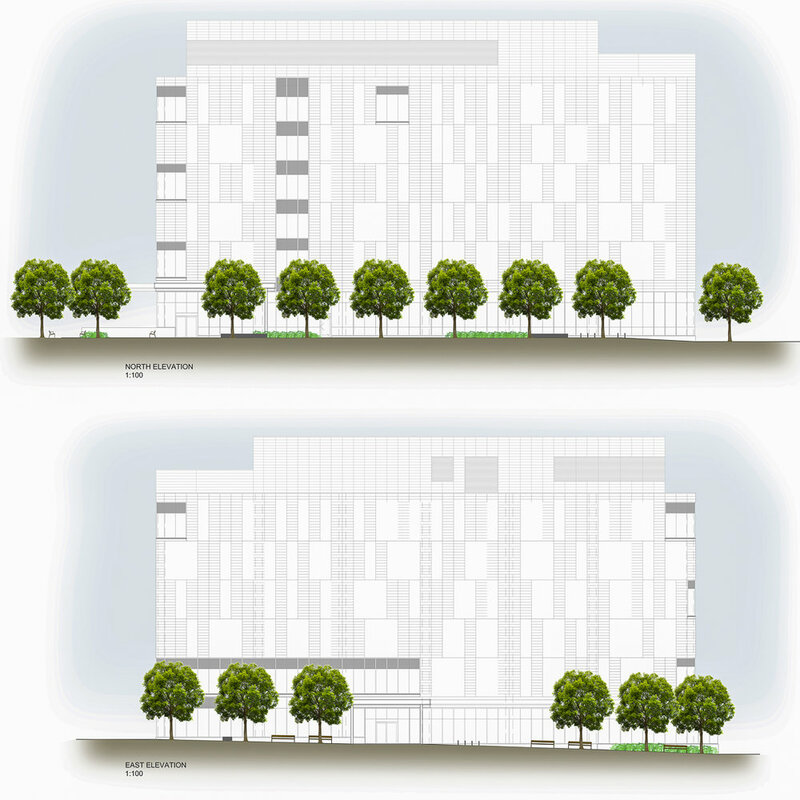 As part of the revitalization of Etobicoke General Hospital, this new six-storey Ancillary Services Building (ASB) will house physician offices and clinics, ambulatory services, as well as educational and other programmed space supporting the Hospital. Acting as a gateway to the Etobicoke General Hospital Campus, the ASB will frame the entrance and create a protected interior street from Humber College Boulevard to the new patient tower. The landscape design creates a welcoming and comfortable setting for the building. There are abundant trees and understory plantings with a great variety of foliage and flower colour throughout the year. 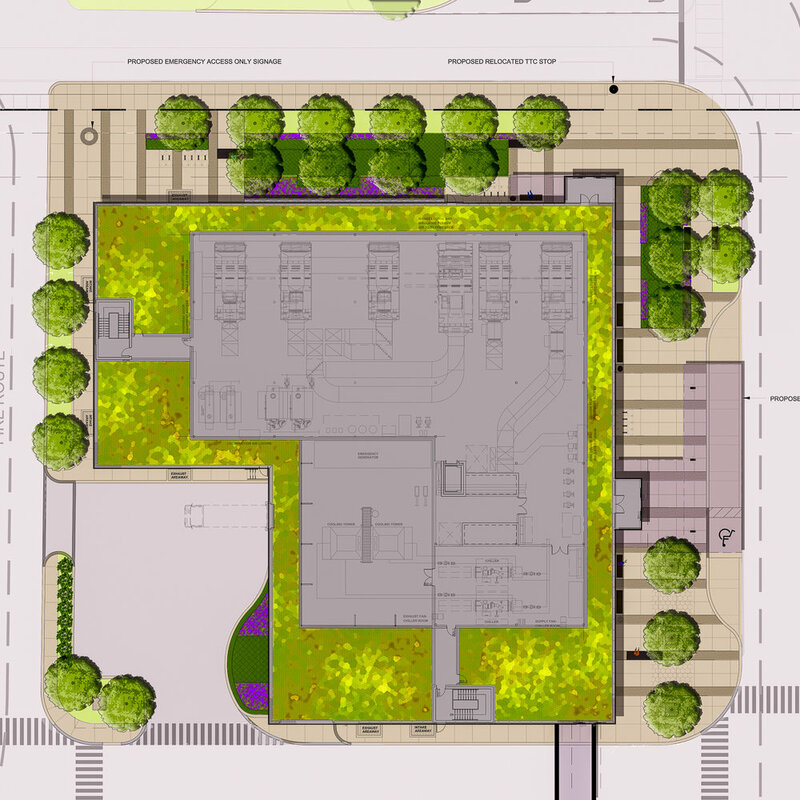 Full accessibility, opportunities for sitting in shade or sun, clear visibility throughout the site and clearly defined travel routes to the building and hospital provide pleasant and safe green surroundings to support the hospital’s goal of establishing a healthful, therapeutic environment.